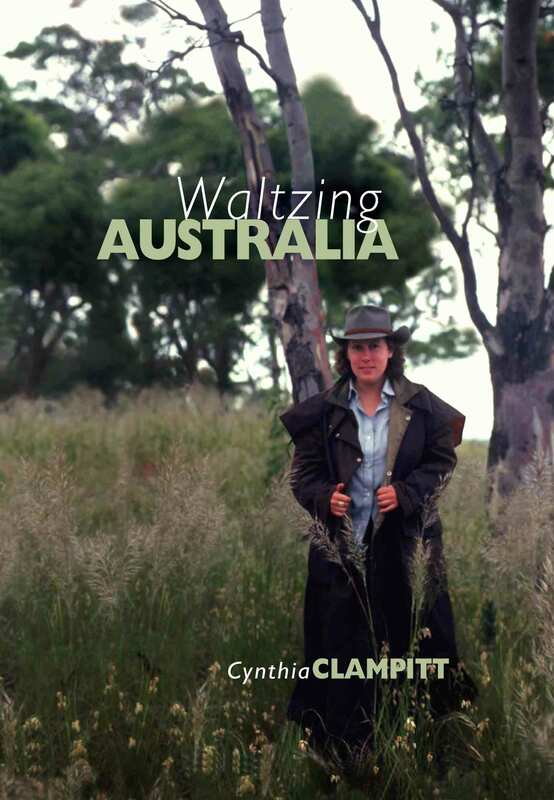 My book—Waltzing Australia—does contain details of Australian geography, history, and culture, but it also contains a fair bit of adventure—and far more places and events than I’m showing on the blog. This blog is kind of like the bonus tracks on a DVD—photographs, recipes, additional background, and things that got cut during editing. So for those who have worried that the blog just repeats what the book says, it doesn’t. Clampitt circled and crossed the continent, covering nearly 20,000 miles. The child of that journey is the book Waltzing Australia, a journal that recounts six months of joy and adventure. It is a story about finding out who you are. But above all, it is about Australia: the history, legends and art, both European and Aboriginal; the beauty, the challenge, the people, the land.Best-selling author Richard Lederer wrote of Waltzing Australia, “Cynthia Clampitt’s luminous chronicle of her love affair with Australia resonates to the heart’s deep core.” Readers are comparing her to Annie Dillard and Bill Bryson. But Clampitt sees the chief virtue of the book being the lesson that you can start over; you can make dreams come true—if you are willing to pay the price. Waltzing Australia will encourage those who dream, as well as those who travel. It will delight those who know Australia and enchant those who do not. I realize that not all of you will get Waltzing Australia, and the blog can stand on its own. However, I do hope you’ll get the book—not just so you can read about all the things I did and saw in Australia, and not even so you’ll fall in love with Australia, but also so you can be encouraged to dream your own dreams. Available in print and in Kindle format at Amazon.com, and in other ebook formats at Smashwords.com. I’ve enjoyed your blog for some time. I recently bought the book and have begun exploring your life-changing adventure. Already I have read of places you describe so beautifully that I am surprised you were able to leave such wonders. Now I question if I were to travel to Australia if I would return. I hope some day to find out. The book is a delight; you are a marvelous inspiration. Thanks so much, stumpar. Glad you’re enjoying the book. As for being able to leave, it helped that, in order to get the six-month visa, I’d had to sign a pledge to go home after the six months was up. Of course, leaving doesn’t mean staying away, and I have gotten back a few times to renew the love affair—and still had the fun of being here to watch my nephew grow up. Best of both worlds! But there certainly are people who do stay in Australia. It is a seductive place. I sell travel to Australia and have been there many many times. I enjoy reading just about everything about this beautiful country. I am only part way through the book but wanted to let you know how much I am enjoying it. I have already enjoyed many of my own memories while reading. This book sounds fascinating, and I am already in love with your writing style. I generally tend to read more novels than nonfiction, but your blog, positive outlook on life, (and AUSTRALIA itself) intrigued me. I just added your book to my Goodreads “to be read” list. And I can’t wait to get my hands on it. Thanks again for finding me, and helping me to find your blog! I found your blog several months ago and was inspired by your story of quitting one life to persue another as a writer. Your story has helped me to amp-up my own writing ambitions this year: starting with a blog, a published magazine article and more recently winning a local writing competition. The writing competition awarded me with a Kindle and the first book i purchased was “Waltzing Australia”, which I enjoyed greatly. I will not be giving up my day job as a cattle farmer for my passion for rural Australia is what fuels my writing – one is dependent on the other. Thanks for the comment — and so glad you enjoyed my book. Even happier to learn that it has encouraged you in your own writing. Love the blog. And congratulations on the magazine article and competition win. Sounds as though you’re on your way. cynthia, after reading just a small amount of your blog i am ordering waltzing australia today.it is #1 on my bucket list even though i will never be able to afford to go.your book will be a keeper, thanks, tommy, prosperity,s.c. Thank you, Tommy. I hope you enjoy the vicarious journey. Australia is a remarkable place.